Quercetin is a non-citrus bioflavonoid that possesses beneficial antioxidant qualities. ** For added support, we include Vitamin C, which has many benefits for your immune system, heart, joints and skin. ** As an antioxidant, Vitamin C also helps neutralize harmful free radicals in cells. 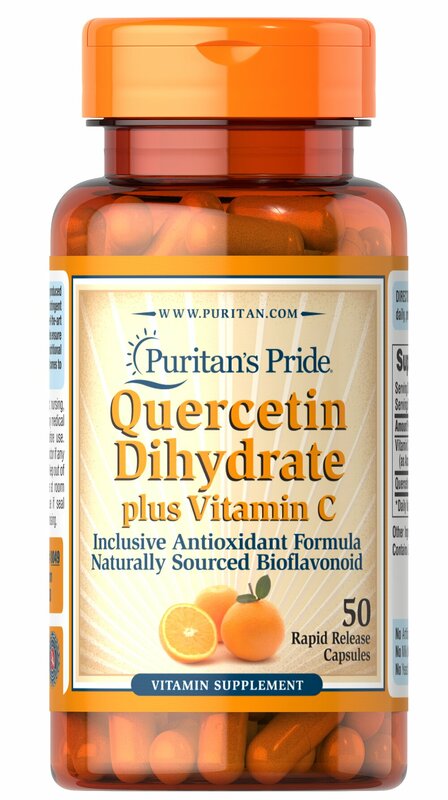 ** This product contains 1400 mg Vitamin C (as Ascorbic Acid) and 500 mg Quercetin Dihydrate. Adults can take two tablets daily.